The big day is tomorrow and my first presentation will be to about 300 of my lovely sorors of the Mu Kappa Omega Chapter of Alpha Kappa Alpha Sorority, Inc. thanks to my mentor, Soror Candace. 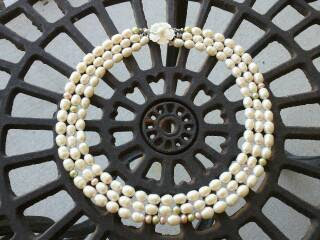 This necklace is a one of a kind just for you, Soror Candace. Thank you for believing in me and giving me a chance. I can't wait for you to see it tomorrow! Here's to great moments, beautiful necklaces, and unforgettable memories to come. So excited for you and so very proud of you!!! !